At about 7:20 a.m., the woman, whom officials have yet to identify, was driving a red Honda Civic westbound on Old Creek Road. 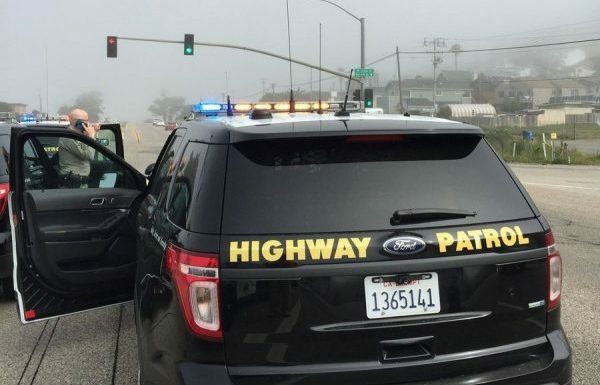 She made a left turn onto Highway 1 southbound at an unknown speed, according to the CHP. The Honda Civic collided with a silver Nissan Sentra that Jacob Denning was driving northbound on Highway 1 at Old Creek Road. Denning told officers he was traveling at a speed of 50 to 55 mph at the time, and he had a green light. All of a sudden, the Honda Civic was directly in front of him, Denning said. The Morro Bay man hit the brakes as the front of his Sentra collided with the left side of the Civic. Emergency responders transported both the woman and Denning to Sierra Vista Regional Hospital. The woman was pronounced dead at the hospital. The extent of Denning’s injuries is unclear. Investigators say neither drugs nor alcohol appear to be factors in the crash. A CHP investigation is ongoing. Anyone who witnessed or captured video of the collision is asked to call (805) 594-8700.